Quality built products that do what they say they are going to do is what I look for when buying for my bike. Galfer products are just that, quality built products that take the worry out of braking. I have been using Galfer’s products for many years because of their superior performance. 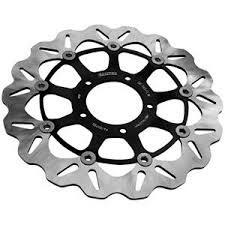 Their rotors are generally lighter than stock rotors, recover instantly when riding in the rain and endure heavy use! If you haven’t tried them – you should. Their quality product really does perform very well on the road.